The PCMA Research Centre in Cairo and Institut français d’archéologie orientale (IFAO) are co-organizing the second scientific meeting on archaeobotanical research in Egypt. 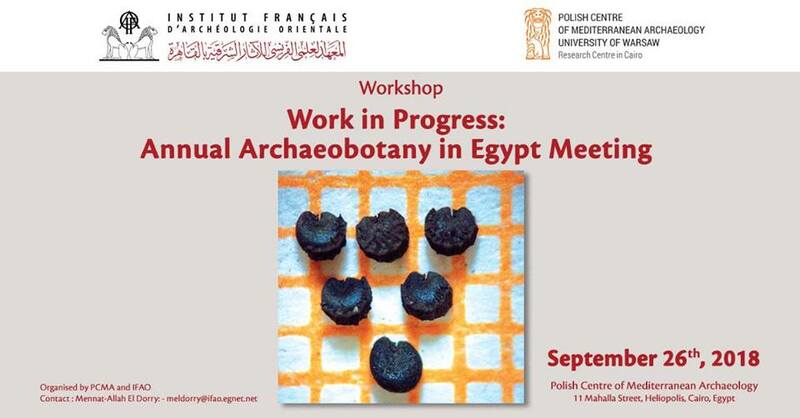 The meeting will gather archaeobotanists and specialists in similar disciplines who work in Egypt. They will convene in the PCMA Research Centre in Cairo on 26th September 2018. The program includes presentations on laboratory analyses’ results and an overview of current projects in this field. The meeting’s organization is supervised by PCMA/IFAO Post-Doctoral Fellow, Dr Mennat-Allah EL Dorry. 26 September 2018, 9:45 a.m.–2:30 p.m.